It all started simply enough; I took my phone out of my laptop rucksack – as I do every day. The screen was three-quarters blank. I looked closely and could see a tiny crack on the inside of the screen. The outside of the phone itself was completely untouched. Nothing else in the rucksack; iPod, another phone, laptop, was damaged. The laptop had been on the table all night and not moved. I knew straight away it would be awkward – I didn’t have the receipt and I bought it online from the Orange website. Luckily, mobile phone companies are meticulous in registering your products with them. I knew, therefore, with a bit of attentive service and a quick search of the database that they would be able to establish that it was my phone and that I hadn’t broken it. I’ve had similar things with Apple and Mazda in the last few months and although it’s all a bit awkward, they do get you on the sausage machine and get it sorted out. I phoned the help line on the website and was scooted to a call centre somewhere around the world. They told me that there wasn’t a lot they could do about it because they couldn’t see the damage. They told me to go to an Orange shop. This didn’t seem unreasonable. I went to the Orange shop in Wycombe, explained my situation and was told that they couldn’t/wouldn’t do anything about it because I didn’t have a receipt. 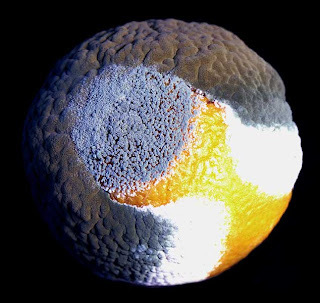 It was like trying to penetrate the outer rim of a giant planet – or the peel on an orange, perhaps. They were totally disinterested in the problem. I pointed out that I had every other piece of information about the purchase – my debit card, the original box with endless barcodes, purchase date, delivery address etc. To get me onside, pretty much the first thing I was told was that ‘for all we know you could have bought it from the market’. Brilliant. I was told to go to the call centre/website, because the shop had nothing to do with the website. The website told me to come to you, I told them, you’re all Orange, I told them, I don’t care how you’re organised, you’re all part of the same operation as far as I’m concerned. We’re not, she said, you are, I said, your t-shirts have the same logo as the one on my phone, where does it say that you’re different companies? We have different stock, she said, I don’t care, I said. Eventually they called the help desk, and after several attempts they finally established it was my phone. Craig in the Wycombe branch of Orange, came out from the back of the shop, looked at my phone and said that it wasn’t customer damage. He even said he’d seen similar problems before and thought it might be something to do with a voltage surges. We were getting somewhere. It didn’t help that the girl who served me insisted on serving other people whilst serving me; she was generally inattentive and even dropped the phone at one point because she was filling out some other form for some other poor bugger, cutting off the call centre meaning we had to start again. Eventually she came off the phone and said that they wouldn’t fix it because it was customer damaged because it had been in my laptop bag. This is a bit like saying the cause of death of someone dieing in their sleep was ‘going to bed’. They couldn’t explain how I’d managed to break into a sealed unit and break the internal workings of the phone. So, the shop people told me to call the call-centre, after some exasperation I left (the girl at one point going back to the fact I didn’t have a receipt and something about buying something from Comet – at which Craig interrupted and said ‘we’re beyond that’). Craig also admitted that I was stuck in the middle of their corporate shitehouse (last bit added by me). I went back and called the call centre and 45 minutes later I was in the same position – the phone was broken by me so they wouldn’t fix it. I finally asked who it was that regulated Orange – e.g. who do I need to complain to. “Orange” said the operator. I said – no, who is your regulates your industry (Trading Standards? OfCOM?). She didn’t know. Can I talk to someone who does? You can talk to my supervisor. Thank you, I said. Then she cut me off. What we’ve established that a phone bought legitimately by me from Orange is broken. The only person in the Orange corporation who has actually seen the phone says it’s not been damaged by the customer and it’s under warranty. Oh, and according to Craig, the people who sold it to me have a ‘six month duty of care’, whatever that is. It’s a recipe for getting it fixed, is it not? Computer says no. It’s not going to be fixed because the person in the call centre who is hundreds, possibly thousands of miles away has, through ESP or some equally mystical power, managed to see the handset, calculate (possibly by going back in time and visiting my house in a ghostly form) that my stationary rucksack has maliciously attacked my phone (and only my phone). Presumably, therefore, I’m responsible for my rucksack and its wild ways – perhaps I should buy it a muzzle, especially with Millie in the house. Oh, and I’m £130 in the hole without a functioning mobile phone. And now they’ve raised the drawbridge. I can go through Trading Standards; which I think I will anyway, but ultimately I’m the one left without a phone, and though it is not my most treasured possession, I really do need it. Ever feel you’ve been cheated? You could try those consumer champion people at the Guardian, they seem to be able to work miracles! You bash away for weeks slowly losing your will to live, they make one phone call and you get an apology, four free phones and a week cruising the Med on the chairman of Orange's private yacht. Good brief and this post helped me alot in my college assignement. Thank you seeking your information.